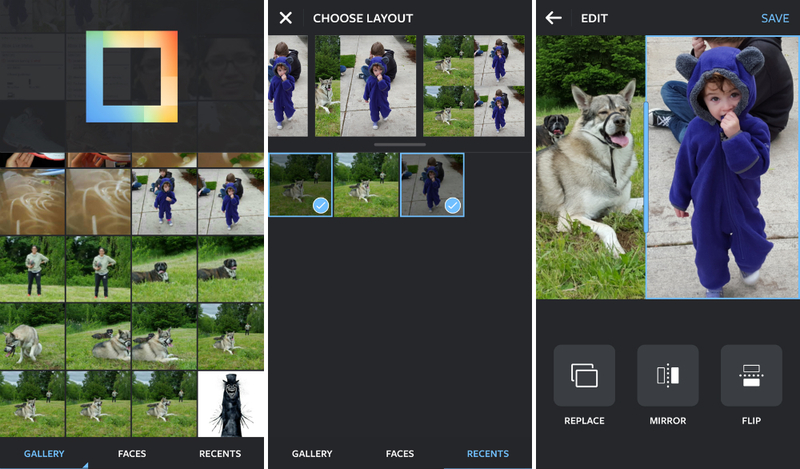 A new app from the developers at Instagram launched onto Google Play today, titled Layout, allowing Android users to create nifty collages with their photos. This same app was made available to iOS users not too long ago. To sum it up, you choose photos in your gallery, rotate and mirror however you want, then upload them to Instagram. Very basic, very easy. When making a collage, you can have up to 9 photos selected, plus there is a face recognition tool that will highlight photos with faces in them. Once you have the layout you want, you can save the collage as a single photo to your gallery, sharable through any application on your phone. It’s interesting that this simplistic feature could not just be added to the existing Instagram app, but hey, we’ll take it. In addition to the release of Layout, Instagram also announced Structure, a tool for Android users to highlight textures and details within a photo. Structure should go live in the official Instagram app via an update sometime today in Google Play.